Die Cut Brochures for Emerson College , that's #WhatsOnPress! It's the end of September, and school is in full swing. For universities it's time to reach out to potential new students. 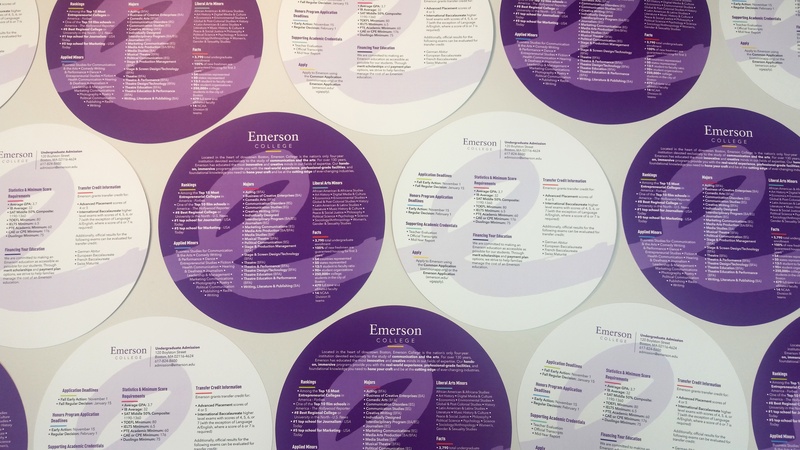 #WhatsOnPress this week at TPI Solutions Ink is a custom die cut circle brochure for the department of Undergraduate Admission at Emerson College in Boston, MA. This marketing piece is printed on our HP Indigo 5500 digital press, the stock is 100 lb. Cougar Opaque Cover. The final step in the process is die cutting the brochure on our Heidelberg Windmill press into an 8.5 inch diameter circle that is sure to grab attention. Are you interested in creating a custom, die cut printed piece? Let us know and we can help you create a unique shape that fits all your design needs!